10 Things You Might Not Know About STAR TREK II: THE WRATH OF KHAN | Warped Factor - Words in the Key of Geek. 1. In 1980 Gene Roddenberry began work on what he hoped would be the script for Star Trek II. His story involved time traveling Klingons, who discovered that if they changed one particular fixed point in history their species would become the supreme rulers of all the Galaxy. Bizarrely, the moment that needed changing was the assassination of JFK. Yep, the Klingons went back to November 22nd 1963 and saved the President. It's now down to Kirk and the rest of the Enterprise crew to also go back in time and restore order. How are they going to do that? By killing JFK, that's how. Who would be taking the shot from that grassy knoll? None other than Mr Spock, that's who! Unsurprisingly Paramount rejected his script. Although to be fair it does seem that whatever Roddenberry had suggested would've likely been rejected as Paramount were mighty disappointed with his massive overspend on Star Trek: The Motion Picture. Roddenberry was demoted to Executive Consultant, and had very little input into Star Trek from here on out. 2. Paramount assigned Producer Harve Bennett to scriptwriting duties. He'd never seen the TV show, and felt the first movie was boring. 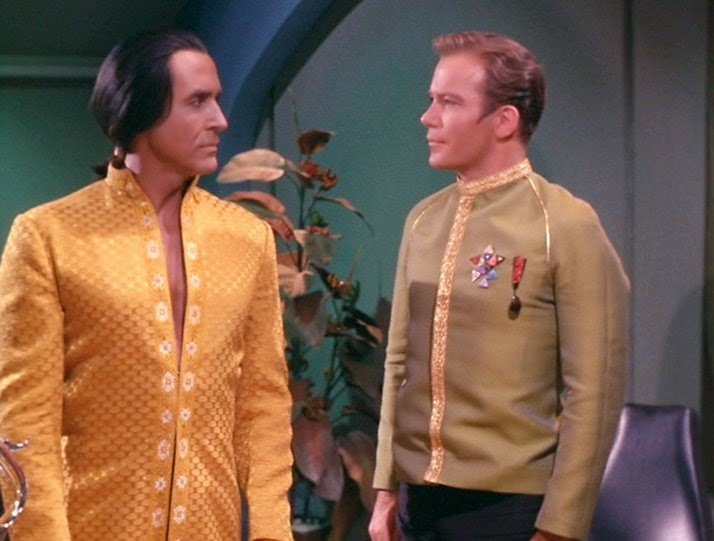 However, after binge watching TOS he loved the 1967 episode Space Seed, and thought that story and its characters would be ripe for revisiting. He particularly loved Khan, and felt he was the best villain the series ever offered. His first draft was entitled Star Trek II: War Of The Generations, and it featured many of the elements that ended up in the actual movie. There was Khan, Kirk's son, and a renegade Federation colony, but one thing it was missing was Spock. Leonard Nimoy had previously been reluctantly convinced to appear in the first Trek movie and stated he had no interest in returning for a sequel, but when Harve Bennett brought in Jack B. Sowards to help him refine the script, Sowards felt there could be no movie without Spock - and so he came up with a plan. Sowards introduced the idea of killing the character off, and suggested that Bennett sell it to Nimoy as "the greatest death scene ever". It worked, Nimoy agreed to put on the pointy ears and be logical once again. 3. Originally Spock was to die in the first act of the movie, a huge shock moment so early on intended to make the audience sit up and take notice. But someone leaked the script and the fan backlash was not good. Death threats were sent to members of the production team - "You kill Spock, we kill you"! 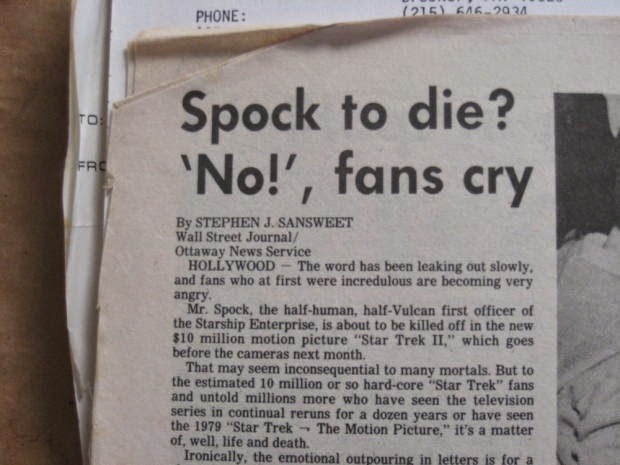 The script was rewritten, and Spock's death was moved to later in the movie. But Leonard Nimoy found the filming of Star Trek II to be so enjoyable he happily agreed to be resurrected and continue playing Spock for decades to come. In the November issue you report that the death of Spock was "brought about by Leonard Nimoy's request." In your January issue you reiterated the same report and then you quoted "Star Trek II" executive producer Harve Bennett as saying "... Nimoy did not insist on killing the character as a prerequisite to his appearing in the second film." I was not contacted for a statement, but here it is: Harve Bennett was right, you were wrong ...... twice. 5. Director Nicholas Meyer came on board very late in development, and he found the script, at that time titled Star Trek II: The Genesis Project, to be a huge mess of rewrites and additional ideas all patched together. He had just 12 days until principal photography was due to commence, and so rewrote and restructured the entire screenplay. He also wavered his screenwriting credit. Meyer retitled the script Star Trek II: The Undiscovered Country, but Paramount had other ideas. 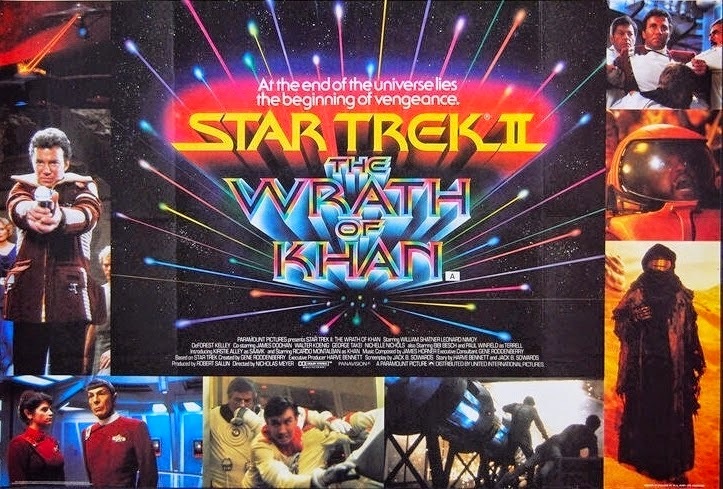 They wanted to call the movie Star Trek II: The Vengeance Of Khan. Paramount initially wouldn't budge until Meyer pointed out that the third Star Wars movie was in production and it was, at that time, known as Revenge Of The Jedi, and he felt that Vengeance/Revenge were just too similar. And so Star Trek II: The Wrath Of Khan came to be. Off course it didn't matter in the end as Revenge Of The Jedi was retitled, but Meyer later revealed he only bought up the Star Wars connection because he just didn't like the word Vengeance in the title. Meyer was also responsible for Star Trek VI, I wonder where he got the title for that film? 6. 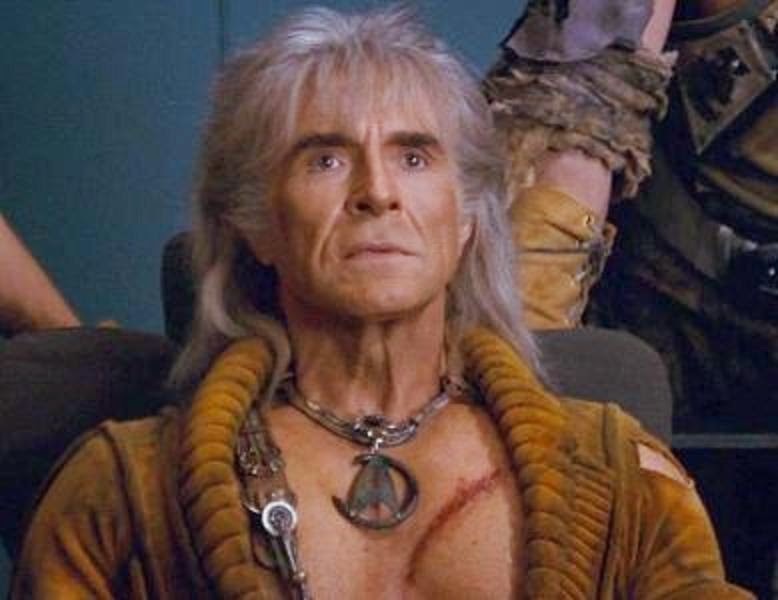 Ricardo Montalban was contracted to Fantasy Island at the time of Star Trek II's shoot, so he had to work around his schedule, often filming overnight. This meant he rarely interacted with any of the main cast, and actually never met William Shatner at all during the production. Although it has been widely suggested that Montalban wore a fake chest during filming, it's not true - that's 100% his own body. Montalban liked to keep himself in extremely good shape and was happy to have a costume designed to emphasise his physique. Maybe this was because he just wanted to keep his 'henchmen' on their toes. As some of Khan's crew were actually played by Chippendale's. 7. In early versions of the script, Saavik was male. And even after the character's gender was changed they still referred to her as Mr. Saavik. Deleted scenes explained that Saavik was half Romulan, which would explain her emotional behaviour. Her use of the word "damn" near the beginning of the film hinted towards this, and her crying at Spock's funeral. 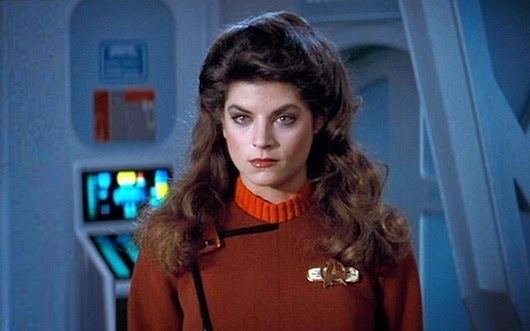 Although the waterworks were not mentioned in the shooting script at all, that was all down to Kirstie Alley and Nicholas Meyer, much to the surprise of William Shatner. 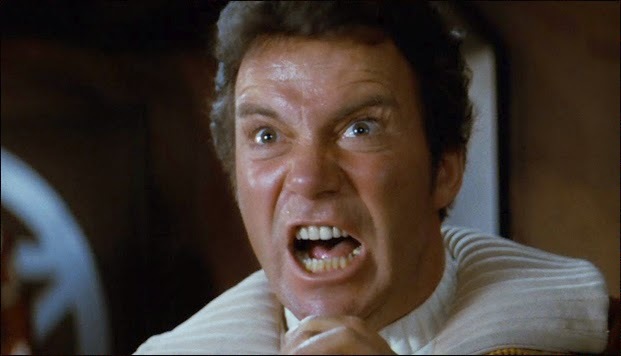 Shatner was said to be furious, thinking her crying had ruined the scene. Nicholas Meyer recounted (in his book The View From The Bridge: Memories of Star Trek and a Life in Hollywood) that Shatner came straight over to him saying "Are you going to let her do that? ", and protested "Vulcan's don't cry". 8. DeForest Kelley was supposed to deliver his famous line during Spock's death scene. Yes, the script called for Dr. McCoy to say, "He's dead, Jim." Kelley, quite wisely, protested and thought that it would have a negative effect on the scene, with the audience laughing at his famous catchphrase, so he switched lines with James Doohan. Scotty then delivered it his own way, "Sir! He's dead already." 9. 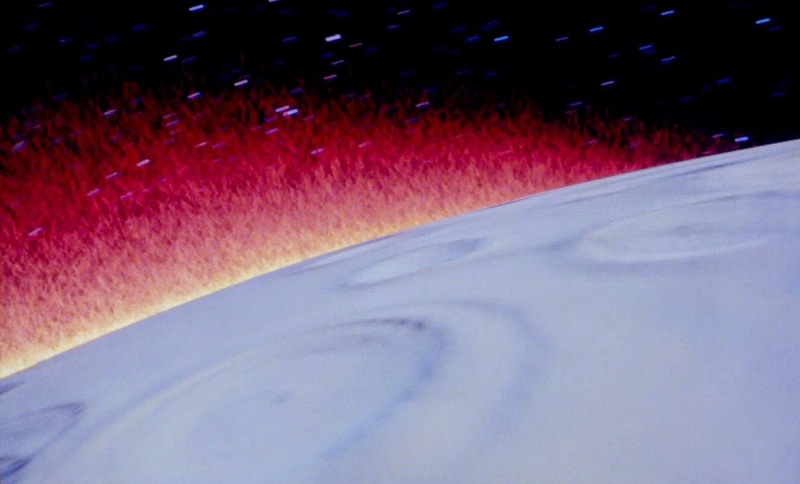 The computer simulation of Genesis transforming a dead planet into a habitable one is the first complete computer-generated sequence ever used in a fiction based feature film. The effect was the brainchild of ex-Boeing engineer Loren Carpenter, whom after leaving Boeing went on to join George Lucas' ILM. At Boeing in the late 1970s Carpenter discovered that Mandelbrot fractals could be used to create realistic mountain landscapes for computer animations, and kick-started a revolution in computer graphics and simulation. 10. 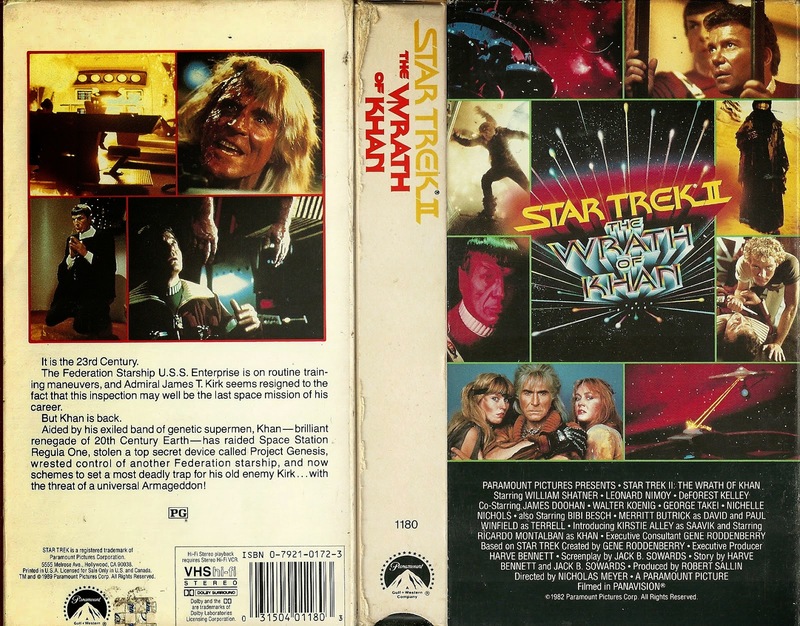 In 1983, when Star Trek II: The Wrath Of Khan was released on VHS and Betamax, it came with the low, low price tag of just $39.99! Well for those of you not around in the early 80s, up until this release a typical VHS tape would retail for around $80, and the only way anyone ever watched them was through rental stores, owning your own copy was just not financially viable. The industry ridiculed Paramount for their decision to slash the price, stating they would have to sell 60,000 copies just to break even - the fact was that there weren't enough rental outlets to purchase them all. But the decision proved to be a wise one as Paramount shifted 120,000 tapes that year alone as individuals snapped them up, and Star Trek started the industry-wide move away from rentals to sales as the bulk of videotape revenue.